13 February 2019, Addis Ababa – Hunger in Africa continues to rise after many years of decline, threatening the continent’s hunger eradication efforts to meet the Malabo Goals 2025 and the 2030 Agenda for Sustainable Development, particularly the Sustainable Development Goal 2 (SDG2). New data presented in the joint UN report, the Africa Regional Overview of Food Security and Nutrition, released today, indicates that 237 million people in sub-Saharan Africa are suffering from chronic undernutrition, derailing the gains made in the past years. The joint report by the Regional Office for Africa of the Food and Agriculture Organization of the United Nations (FAO) and the United Nations Economic Commission for Africa (ECA) was launched today in Addis Ababa at an event presided by FAO’s Deputy Director-General Climate and Natural Resources, Maria Helena Semedo. It shows that more people continue to suffer from undernourishment in Africa than in any other region – evidence suggests that in 2017, 20 percent of the African population was undernourished. “The worsening trend in Africa is due to difficult global economic and worsening environmental conditions and, in many countries, conflict and climate variability and extremes, sometimes combined. Economic growth slowed in 2016 due to weak commodity prices, in particular for oil and minerals. Food insecurity has worsened in countries affected by conflict, often exacerbated by drought or floods. For example, in Southern and Eastern Africa, many countries suffered from drought,” FAO Assistant Director-General and Regional Representative for Africa, Abebe Haile-Gabriel, and ECA Executive Secretary, Vera Songwe, said in their joint foreword of the report. Of the 257 million hungry people in Africa, 237 million are in sub-Saharan Africa and 20 million in Northern Africa. The annual UN report indicates that compared to 2015, there were an additional 34.5 million more undernourished people in Africa, of which 32.6 million in sub-Saharan Africa and 1.9 million in Northern Africa. Nearly half of the increase is due to the rise in the number of undernourished people in Western Africa, while another third is from Eastern Africa. At the regional level, the prevalence of stunting in children under five is falling, but only few countries are on track to meet the global nutrition target for stunting. The number of overweight children under five continues to rise and is particularly high in Northern and Southern Africa. According to the regional report, progress towards meeting the World Health Organization’s global nutrition targets is slow at the continental level. In many countries, notably in Eastern and Southern Africa, adverse climatic conditions due to El Niño led to a decline in agricultural production and soaring staple food prices. The economic and climatic situation has improved in 2017, but some countries continue to be affected by drought or poor rainfall. The report reveals that more efforts are needed to achieve SDG2 and the global nutrition targets amidst the important challenges faced by the continent, such as tackling youth employment and climate change. Agriculture and the rural sector must play a key role in creating decent jobs for the 10 to 12 million youths that join the labour market each year. Another present and growing threat to food security and nutrition in Africa, particularly to countries relying heavily on agriculture, is climate change. The effects of climate change, reduced precipitation and higher temperatures negatively influence the yields of staple food crops. At the same time, there are significant opportunities for agriculture in developing intra-African trade, harnessing remittances for development, and investing in youth. Remittances from international and internal migration play an important role in reducing poverty and hunger as well as stimulating productive investments. International remittances amount to nearly $70 billion, about three percent of Africa’s GDP, and present an opportunity for national development that governments should work on to strengthen. The signing of the African Continental Free Trade Area agreement provides an opportunity to accelerate growth and sustainable development by increasing trade, including trade in agricultural products. Although agricultural intra-African exports rose from $2 billion in 2000 to $13.7 billion in 2013, they remain relatively modest and often informal. The report highlights that opening trade of food also carries risks to consumer and producer welfare, and governments should avoid using trade policy for multiple objectives but rather combine trade reform with additional instruments, such as safety nets and risk-mitigating programmes, to achieve food security and nutrition goals. This year’s Regional Overview, entitled, “Addressing the Threat from Climate Variability and Extremes for Food Security and Nutrition,” illustrates that climate variability and extremes, in part due to climate change, are important factors underlying the recent rise in food insecurity and severe food crises on the continent. Many countries in Africa are at great risk to climate-related disasters and suffer from them frequently. Over the last ten years, climate-related disasters affected on average 16 million people and caused annually $0.67 billion in damages across the continent. Although not all of these shorter-term climate variations may be attributable to climate change, the evidence presented shows that more numerous and more frequent occurrences of climate extremes and a rise in climate variability are threatening to erode gains made towards ending hunger and malnutrition. In terms of developing climate adaptation strategies and implementation, the report highlights the need for greater efforts in data collection, monitoring and implementation of climate smart agriculture practices. Continued efforts through partnerships, blending climate change adaptation and disaster risk reduction, and long-term financing can bridge humanitarian and development approaches. The Department for International Development (DFID) says Nigeria needs to invest more in healthcare, education and economic reforms. The country head of the oganisation, Debbie Palmer, said this on Monday during a conference organised by the Not Too Young To Run group in the nation’s capital, Abuja. She explained that there are projections that soon Nigeria could become the third largest nation on earth which could mean a rise in the number of the working age and potentially, a boost in the nation’s GDP. However, according to her, this can only be possible if the nation invests in its health, education and economic sectors. Palmer said, “According to projections, Nigeria is set to become potentially, the third largest nation on earth by 2050 after China and India. “So, what that means is, there will be a huge rise in the number of Nigeria’s working age over the next 50 years and in theory, this could transition Nigeria from being a lower middle-income country to being a higher middle-income country with a GDP per capita of over $8,000 per person. “That is a bright future to work for and that would be a fantastic future for Nigeria. “To get there, Nigeria needs to be investing in its healthcare, education and economic reforms. “Because in a nutshell we’ve got huge numbers of Nigerians being born and we need those people to be nourished, educated, healthy, skilled and to become productive members of the society, having jobs and driving this economy forward”. Also addressing the youths, the sponsor of the Not Too Young To Run bill in the House Of Representatives, Mr Tony Nwulu, asked them to walk their talk anytime they recite the country’s national anthem. “The Not Too Young To Run initiative has truly brought us into the spirit of the national anthem. Today, we can actually say that we have answered that clarion call for young people to get involved in mainstream politics. “So if you could have made it through your party primaries, go through the rigors and every other thing that goes with it and you emerged as a party candidate, then you know that you’ve truly been called to serve this country with strength and faith and I want all of us to continue to reflect on the national anthem,” he said. The conference brought together candidates from 91 registered political parties to educate them on the need to build the right values that would help them deliver good governance and quality representation in Nigeria. President Buhari had signed the ‘Not Too Young To Run’ Bill into law in May, reducing the age limit for presidential candidates from 40 to 35. On the other hand, the minimum age for National and State Assembly members was reduced to 25. The aim of the law is to increase the participation of young people in politics, as more than half of the nation’s population is below age 30. WASHINGTON, November 9, 2018 – The World Bank approved an International Development Association (IDA) package of $20 million today to support Djibouti’s efforts to improve the living conditions for residents of urban areas, achieve its Zero Slum strategy. Funded with a US$20 million from IDA, the World Bank’s fund for the poorest countries, combining credit and grant, the Integrated Slum Upgrading Project will improve access to urban and social services and to better job opportunities through increased mobility to more than 120,000 city dwellers. “The Government of Djibouti has the ambition to eliminate slums in its territory and provide good living conditions to all its citizens” said Amina Abdi, Minister of Housing in Djibouti, “this operation is an important milestone of that transformational agenda and constitutes the first financing of a large restructuring program”. Djibouti Ville’s high urban growth rate is a result of natural demographic growth combined with a continuous inflow of people both from rural areas inside Djibouti and from neighboring countries. While an increasing number of people relocated to the urban area in search for economic opportunities, many were also forced to leave their home due to repeated droughts over the past 30 years and conflicts in the region. The population increase created new extensions at the outskirts of Djibouti. More than one third of the capital city’s population today lives in 13 rapidly growing slums. The expansion of these urban areas has mostly happened in an uncontrolled manner, making service provision challenging for authorities. In the targeted area, the project will support social infrastructure to relieve densely populated areas and facilitate public transportation, emergency assistance and the movement of people and goods. It will enable the government to develop an integrated urban development and slum prevention program. The strategy will enable sectoral ministries, such health and education, to strategically position health centers and schools, based on population’s demand, instead of land availability. 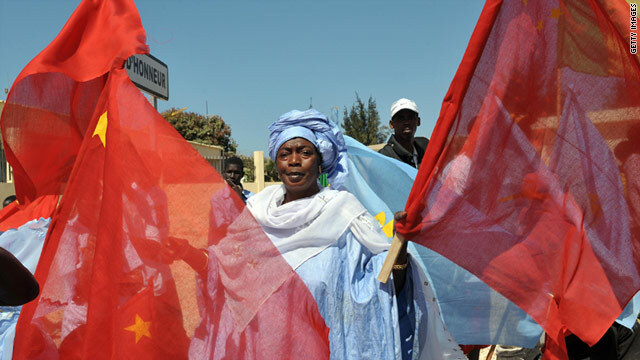 The World Bank’s portfolio in Djibouti consists of eleven IDA-funded projects totaling US$ 150 million. The portfolio is focused on social safety nets, energy, rural community development, urban poverty reduction, health, education, modernization of public administration, governance and private sector development, with emphasis on women and youth. This week, China hosted leaders from across Africa for a summit in Beijing. The last summit was held in December 2015 in Johannesburg, South Africa, where Chinese President Xi Jinping announced $60 billion in funding support for infrastructure development in Africa. 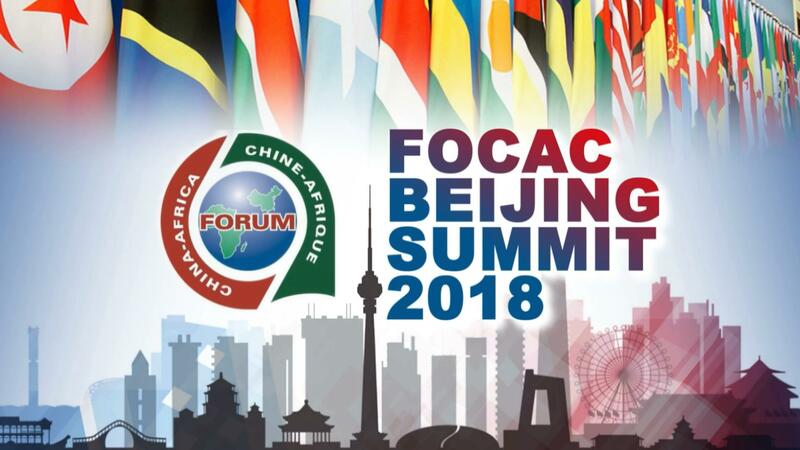 The Forum on China-Africa Cooperation included an eye-popping announcement of billions of dollars more in Chinese financing to build infrastructure across the continent. But these massive loans can come with steep and opaque conditions. It’s tempting for Americans to think this is not our problem. But as African countries sink deeper and deeper into Beijing’s carefully laid debt trap, the United States could pay a steep cost in reduced cooperation on counterterrorism and job creation. Chinese debt has become the methamphetamines of infrastructure finance: highly addictive, readily available, and with long-term negative effects that far outweigh any temporary high. This is particularly true in sub-Saharan Africa, where China has become the largest provider of bilateral loans. Forty percent of sub-Saharan African countries are already at high risk of debt distress; by having so much debt concentrated in the hands of a single lender, they are dangerously beholden to their supplier. Why does this matter? Because in Africa and elsewhere, governments have secured massive loans from Beijing using strategic assets—such as oil, minerals, and land rights— as collateral. If borrower nations find themselves unable to repay the loan, China can claim the strategic asset. Sri Lanka recently learned this the hard way and handed over control of the port of Hambantota, giving China a strategic foothold along a busy trade waterway. While Chinese debt diplomacy may not seem relevant to most Americans, it is a serious threat to US national security. Most directly, China’s crafty negotiations and seizure of strategic assets can limit US influence and access overseas. For instance, the tiny country of Djibouti is home to the most significant American military base in Africa. Thanks to Chinese loans, Djibouti’s debt-to-GDP ratio surged from 50 to 85 percent between 2014 and 2016. 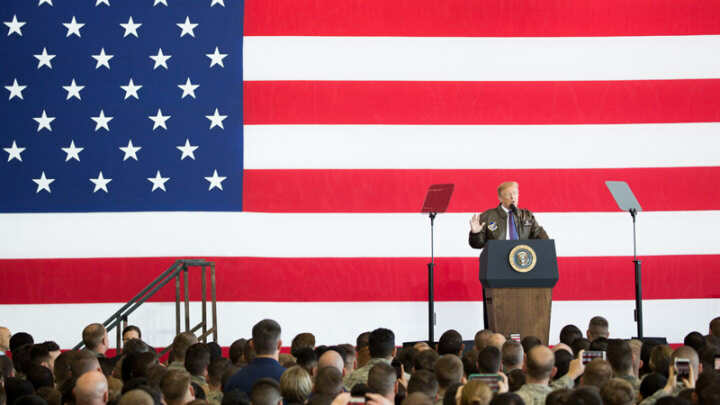 If Djibouti were to default and relinquish the port that resupplies the US base, American military capability in Africa and the Middle East could be seriously threatened. More broadly, unsustainable levels of debt can destabilize African states, which also compromises American security interests. Over-leveraged governments can get caught in a downward spiral of credit downgrades, reckless economic policies, and reduced spending on social services. 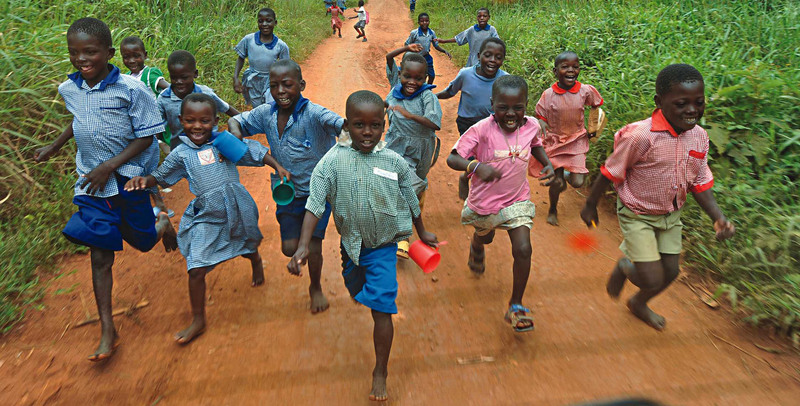 With economic stagnation comes fewer opportunities for Africa’s fast-growing and young population. And the toxic brew of economic hopelessness and political disillusionment can drive disaffected youth toward violent extremism. That can threaten Americans abroad and, potentially, even at home. Finally, China’s debt diplomacy shuts out opportunities for US businesses. Not only do Beijing’s cheap infrastructure loans come with conditions to employ Chinese companies, they also set out technical specifications for projects like high-speed railways and wireless networks in a manner that favours Chinese firms. The combined effect of these efforts “would push the United States away from its current position in the global economy and move China toward the centre,” according to Jonathan Hillman, a fellow at the Center for International and Strategic Studies. China already earns $180 billion annually from its investments in Africa; if its debt diplomacy remains uncontested, it’s likely that even more revenues and jobs will flow to China, instead of the US. But this outcome is far from inevitable. The US has plenty of good options, but it needs to dramatically step up its game and support alternatives to Beijing’s aggressive finance initiatives. Perhaps most fundamentally, the US needs to focus on boosting African economic growth. Helping African states to strengthen investment climates and economic governance will help them attract more private sector capital and provide more entry points for US companies. A key component is assisting African efforts to increase transparency, so that all the costs and benefits of project finance options are openly known. Fully staffing US embassies and offering more technical assistance to evaluate loan agreements and investment contracts would be a good start. To date, the Trump Administration’s Africa policy has been adrift, defined more by racial epithets than any cohesive strategy or results. By comparison, China has a clear vision that will yield long-term benefits. In Africa and around the world, much more needs to be done to confront Chinese debt diplomacy. If not, the US will pay a heavy price in its commercial and national security interests. Harris is CEO of Harris Africa Partners LLC and advises companies on investing in Africa. He was senior director for Africa at the White House from 2011-2015. LAGOS, Nigeria — Lebabatu Musa has been delivering babies for 13 years in Kafur, a village in Northwestern Nigeria’s Katsina state. Her work is complicated by the fact that hospitals in the area don’t always have the necessary equipment to treat their patients, nor the personnel to offer additional trainings to staff. 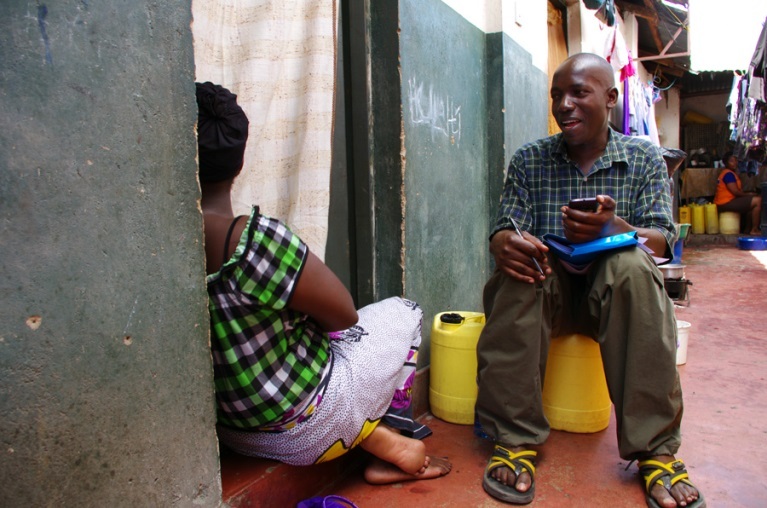 The use of condoms as a form of birth control, for example, was a practice Musa was unfamiliar with until a recent training offered by a local foundation. It wasn’t a topic she had been taught in school, she told Devex, and although condoms are sometimes available in her community, their use has not been advocated for by the hospitals or community health centers she has worked in. Musa studied for three years at a school for health and nursing in Malumfashi to become a community health worker, but “there are no doctors in our schools, only health personnel,” Musa shared of her training. As a result of inadequate health facilities and a lack of skilled personnel, 814 women will die for every 100,000 live births in Nigeria, according to a 2015 estimate from the World Health Organization. Presently, less than 20 percent of health facilities offer emergency obstetric care and only 35 percent of deliveries are attended by skilled birth attendants. In Katsina, where Musa works, 5.1 percent of women were delivering their children in facilities in 2008, according to data from the United Kingdom government-funded, country-led Maternal and Newborn Child Health Programme. In 2017, the number had risen to 20.8 percent. Still, women across Nigeria’s densely populated northern region choose to give birth at home with the help of a traditional birth attendant. Adepeju Jaiyeoba and Temie Giwa-Tubosun, two entrepreneurs who faced complications in their own pregnancies, are now leveraging technology to address the gaps in skills and resources that cost many new mothers their lives across the West African country. Drawing on their personal experience, hyperlocal knowledge, and relying on simple innovations, the two women are determined to increase the odds of survival for new mothers, whether in urban Lagos or rural Zamfara. Seven years ago, Jaiyeoba’s family friend opted to deliver her baby at Obafemi Awolowo University’s reputable teaching hospital in Southwestern Nigeria. The delivery would be safe, she thought, since the university is known for producing some of the most respected medical doctors in the country. But the young mother bled to death after a graduate doctor severed an artery while conducting a cesarean procedure and failed to take immediate action to repair it. In response, Jaiyeoba, a lawyer by training, created a simple, low-cost Mother’s Delivery Kit targeted to low-income, rural communities who may not be able to afford institutional care or do not have access to any. This delivery kit helps women like Musa — community health workers and traditional birth attendants who are often the sole health care provider in rural areas — to deliver babies safely and hygienically. The kit is currently distributed to rural communities in 30 out of Nigeria’s 36 states. Now, it’s Jaiyeoba’s own experience that drives her. While pregnant, she sought care at an expensive Lagos-based hospital to find out why she was tired, weak, and experiencing dizzy spells. She was told her blood pressure was low and given supplements to take. Jaiyeoba’s symptoms didn’t improve, and she would later find out on a medical trip to the United States that in fact, the iron supplements sold to her at a local Nigerian pharmacy recommended by the hospital were fake. The Mother’s Delivery Kit — which costs 1,700 Nigerian naira ($4.74) but is provided for free to health workers during trainings — contains misoprostol, a life-saving pill used to prevent bleeding rather than control it. It also carries a mucus extractor used to prevent asphyxia in newborns. Adhesive pads are included in order to control bleeding temporarily in the event a woman needs to be transferred to a facility. “With the kits, we have been able to not only encourage, but create behavioral change,” Jaiyeoba said in an interview at her Lagos home. Before the kit, birth attendants in rural communities would attend to women on reused plastic sheets, for example, and then attempt to disinfect them with warm water and salt. Unknowingly, the practice put their next clients at risk of infection. The kit has provided an alternative in the form of a stark white, absorbent delivery mat, which stains immediately after use so attendants aren’t tempted to recycle it, Jaiyeoba said. 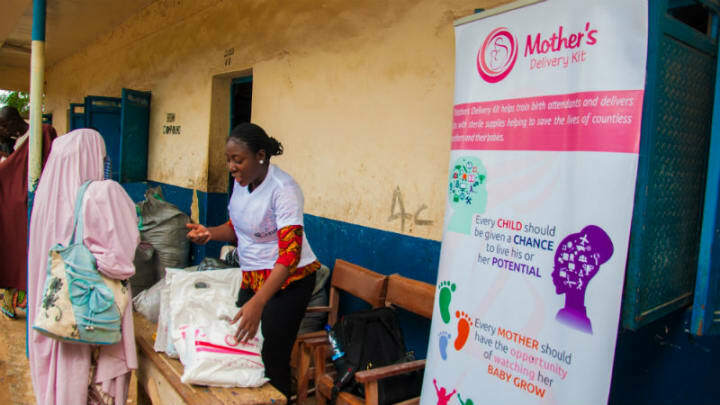 Alongside the Mothers’ Delivery Kit Jaiyeoba created, which was funded through grants from organizations such as the United States African Development Foundation, she also set up the Brown Button Foundation to train women on how to use the kit and any other skills they might be lacking. Brown Button also improves access to more formal health care by encouraging health workers to refer cases beyond their capacity to better-qualified facilities when the option exists, Jaiyeoba said. Jaiyeoba’s work has not been without resistance or roadblocks. Given the religious, conservative nature of many rural Nigerian communities, she must first seek approval for her work from male members of the community. She is also often caught in competing political interests of different agencies or local government authorities — from which she must also seek approval — who seek to stake ownership of the work. For instance, a state health board and a local government chairman may delay launch because of a disagreement of who will present to the people, Jaiyeoba explained. Drones are everywhere these days. From the spectacle of Amazon-owned delivery drones at South by Southwest to the use of these devices by Hollywood producers to capture aerial footage, drones present a variety of opportunities for businesses, military officials, and civil society (there’s even such a thing as droneboarding: getting towed by a drone while on a snowboard or wakeboard). However, there is another realm of unmanned aerial vehicles (UAVs) that is far less talked about: drones for social good. Drones present a tremendous opportunity to revolutionize the international development sphere and scale social impact in a number of ways. In fact, people around the world, from small communities in northern Guatemala to large metropolitan areas in Central Africa, are already implementing drone use into their daily lives. Frederick Mbuya, for example, is a consultant at the World Bank who works on open data and is using drones to improve traffic congestion in Dar es Salaam, Tanzania. In a rapidly expanding city with poor infrastructure, traffic can cause tremendous economic costs and safety hazards. Drones provide data through aerial imagery and large scale topographic surveys, which helps government officials prevent traffic jams, avert citizens from entering flooded areas, and design safer, more effective transportation infrastructure. Mbuya is very hopeful of the technology’s potential, explaining that a $2000 drone can produce a dataset worth $50,000 in the hands of city planners. Although this example is still in its embryonic stage, the application of drones for international development extends far beyond traffic in Tanzania. Innovators are offering ideas to use drones to deliver vital emergency supplies to previously inaccessible areas, produce video reports during disasters to coordinate relief-efforts, and track drought patterns to improve farming practices. Private companies, like Matternet and Flirtey, are using drones to deliver everything from building supplies and food to medicine and biological samples. Zipline International recently partnered with the government of Rwanda to use its fixed-wing cargo drones to deliver medical supplies to remote health clinics in the East African Nation, proving the efficacy of public-private partnerships in leveraging drone potential. While there are countless uses for drones in the international development sphere, particularly for logistical support, mapping, and monitoring, national and local governments are not always receptive to the new technology: Nigerian drone permits cost over $4000, Zimbabwe regulations prohibit drone-use for delivery, and Uganda restricts drone importation. Security and privacy concerns tend to dominate the subject of unmanned robotics, often prompting new legislation that severely hinders the potential of drones for social good. As drone technology continues to evolve and as innovators and government officials find new ways to utilize them, it is important to provide clarity in these applications so that nations can make the most informed decisions when issuing drone legislation. Similarly, enabling local capacity for UAVs in developing nations can increase communities’ willingness to use them, in tandem with effective, constantly updated regulations to ensure that these drones are put to use ethically and safely. Kay Wachwitz, CEO & Founder of Drone Industry Insights, recently explained that “the drone industry as a whole is moving forward — the process itself will create opportunities for operators and organizations across the world that want to leverage the technology.” While the hype around drones for entertainment purposes is certainly well-deserved, the truly ground-breaking opportunities lie in their ability to drastically transform the way private and public actors can help their communities. If we look beyond speedy Amazon deliveries, international spying capabilities, and SuperBowl light shows, we’ll find a multitude of ways that drones are already doing social good. They are changing our world for the better, and there are still many more opportunities to be discovered. Goalkeeper’s report, highlighting the extraordinary progress made in reducing extreme poverty around the world, while also warning that sustaining this progress would not be easy. Each April and October, the World Poverty Clock data are updated to take into account new household surveys (an additional 97 surveys were made available this April) and new projections on country economic growth from the International Monetary Funds’s World Economic Outlook. These form the basic building blocks for poverty trajectories computed for 188 countries and territories, developed and developing, across the world. The data highlight two new storylines about what is happening to global extreme poverty. According to our projections, Nigeria has already overtaken India as the country with the largest number of extreme poor in early 2018, and the Democratic Republic of the Congo could soon take over the number 2 spot (Figure 1 below). At the end of May 2018, our trajectories suggest that Nigeria had about 87 million people in extreme poverty, compared with India’s 73 million. What is more, extreme poverty in Nigeria is growing by six people every minute, while poverty in India continues to fall. In fact, by the end of 2018 in Africa as a whole, there will probably be about 3.2 million more people living in extreme poverty than there are today. Already, Africans account for about two-thirds of the world’s extreme poor. If current trends persist, they will account for nine-tenths by 2030. Fourteen out of 18 countries in the world—where the number of extreme poor is rising—are in Africa. Between January 1, 2016—when implementation of internationally agreed Sustainable Development Goals (SDGs) started—and July 2018, the world has seen about 83 million people escape extreme poverty. But if extreme poverty were to fall to zero by 2030, we should have already reduced the number by about 120 million, just assuming a linear trajectory. To get rid of this backlog of some 35 million people, we now have to rapidly step up the pace. This notwithstanding, the fundamental dynamics of global extreme poverty reduction are clear. Given a starting point of about 725 million people in extreme poverty at the beginning of 2016, we needed to reduce poverty by 1.5 people every second to achieve the goal and yet we’ve been moving at a pace of only 1.1 people per second. Given that we’ve fallen behind so much, the new target rate has just increased to 1.6 people per second through 2030. At the same time, because so many countries are falling behind, the actual pace of poverty reduction is starting to slow down. Our projections show that by 2020, the pace could fall to 0.9 people per second, and to 0.5 people per second by 2022. As we fall further behind the target pace, the task of ending extreme poverty by 2030 is becoming inexorably harder because we are running out of time. We should celebrate our achievements, but increasingly sound the alarm that not enough is being done, especially in Africa. In 2013, Chinese President Xi Jinping launched China’s One Belt, One Road strategy, which centers on pumping hundreds of billions of dollars into ports, rail lines and other projects across Asia, Europe and Africa. The costs of the program are astronomical, but China hopes it will spur demand for Chinese goods overseas and expand China’s influence in global affairs. Critics, however, maintain the program has saddled developing countries with crippling debts and increased their dependence on China. In a recent study, the Center for Global Development identified eight countries as particularly vulnerable to debt under One Belt, One Road, including Djibouti — a country in the Horn of Africa that Tillerson visited Friday and where China is building its first permanent overseas military base. The report notes that Djibouti’s public external debt in the last two years has increased from 50 to 85 percent of its gross domestic product, according to recent data from the International Monetary Fund, and much of that comes from China. “WE FEEL so hungry,” says Agatha Khasiala, a Kenyan housekeeper, grumbling about the price of meat and fish. She has recently moved in with her daughter because “the cost of everything is very high”. The data back her up. The World Bank publishes rough estimates of price levels in different countries, showing how far a dollar would stretch if converted into local currency. On this measure, Kenya is more expensive than Poland. This is surprising. The cost of living is generally higher in richer places, a phenomenon best explained by the economists Bela Balassa and Paul Samuelson. They distinguished between goods that can be traded internationally and many services, like hairdressing, that cannot. In rich countries, manufacturing is highly productive, allowing firms to pay high wages and still charge internationally competitive prices. Those high wages also drive up pay in services, which must compete for workers. Since productivity is low in services, high pay translates into high prices, pushing up the overall cost of living. Among developing economies, however, the relationship between prices and prosperity is less clear-cut. Prices in Chad, for instance, are comparable to those in Malaysia, where incomes are 14 times higher. Fadi Hassan of Trinity College Dublin finds that in the poorest fifth of countries, most of them in Africa, the relationship goes into reverse: penniless places cost more than slightly richer ones. A paper in 2015 from the Centre for Global Development (CGD), an American think-tank, accounts for various factors which could explain differences in prices, including state subsidies, geography and the effects of foreign aid. Even then, African countries are puzzlingly expensive. One explanation is dodgy statistics. African countries may be richer than they seem. When Nigeria revised its figures in 2014 to start counting industries such as mobile phones, GDP almost doubled. They may also be less pricey than economists reckon, because poor people buy second-hand clothes or grow their own food. A more intriguing explanation comes from food prices. The relative cost of food, compared with other goods, is higher in poor countries. WASHINGTON — The new United States National Security Strategy, released Monday, outlines a U.S.-centric development policy that prioritizes working with countries aligned with U.S. interests, calls for countering China’s influence, views development as a tool for U.S. security and puts private sector activity at the fore. The strategy puts in writing what U.S. Agency for International Development Administrator Mark Green has been saying in speeches since he took the position: That “the purpose of U.S. foreign assistance should be to end the need for it,” that U.S. foreign assistance will not promote dependency, and that it will prioritize working with countries, or “aspiring partners” as it puts it, that are aligned with U.S. interests. Here’s a look at what the new strategy says about some key development issues. The U.S. can play a “catalytic role in promoting private sector-led economic growth,” to create future partners in trade and security. The strategy points to the Marshall Plan and U.S. support in South Korea and Japan as examples of where U.S. aid effectively helped countries build their economies and become key markets for U.S. goods and strategic allies, and suggests using that as a model for effective foreign assistance. “Some of the greatest triumphs of American statecraft resulted from helping fragile and developing countries become successful societies,” the strategy says. The U.S. will mobilize public and private resources to maximize returns and outcomes, the policy says, while also reducing the “burden” on government resources. “American-led investments represent the most sustainable and responsible approach to development and offer a stark contrast to the corrupt, opaque, exploitive, and low-quality deals offered by authoritarian states,” the policy states. The strategy makes clear that this administration, like the last, sees China as a considerable threat, and that foreign aid will be used in part to counter China’s push for global influence. The policy highlights China’s role in Africa, where it has expanded its economic and military presence to become the continent’s largest trading partner, according to the strategy. “Some Chinese practices undermine Africa’s long-term development by corrupting elites, dominating extractive industries, and locking countries into unsustainable and opaque debts and commitments,” the strategy says. The U.S. seeks economic ties for market access and to create lasting relationships around common political and security concerns, and would like to see African nations integrated into the world economy, that can provide for their citizens, and manage security threats. As the administration has already announced, it is committed to modernizing its development finance tools. In this strategy, it says the motivation is “so that U.S. companies have incentives to capitalize on opportunities in developing countries.” Development finance will also be used as a tool to make the U.S. competitive with other countries for global influence, and remove any obstacles for U.S. companies wanting to do business in the developing world. Ray Washburne, the chief executive officer of the Overseas Private Investment Corporation, the U.S. development finance institution released a statement alongside the strategy saying that it “rightly recognizes the power of mobilizing private capital in advancing our foreign policy and enhancing American influence” and that the agency looks forward to working with others in government to create a stronger, more modern development finance institution. What’s the future of U.S. aid and development policy under the Trump administration? Read Devex news and analysis.